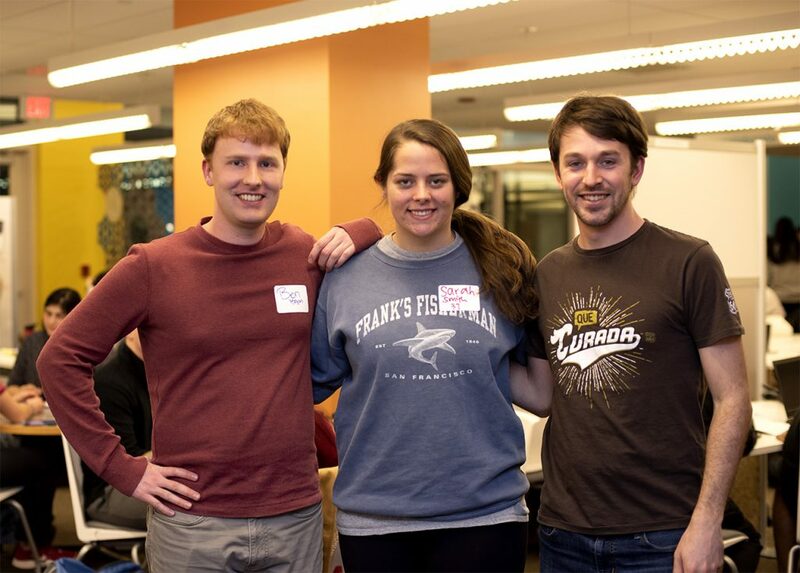 The Makeathon is a chance for students to use new innovation spaces on campus and team up with students from many disciplines to build a project and an entrepreneurial mindset. 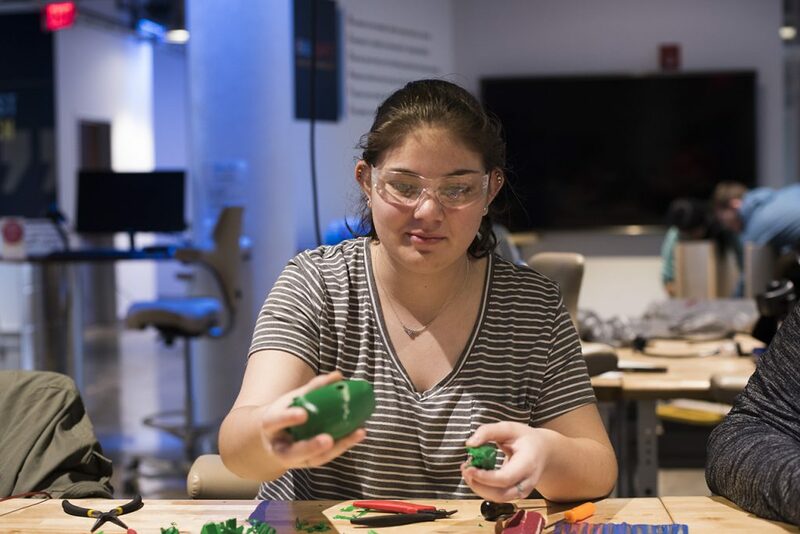 He was one of 138 students who convened in the library makerspace for the kickoff of the 2019 Carolina Challenge Makeathon, a week-long series of events, workshops and learning sessions designed to bring together Carolina innovators and makers to turn socially innovative concepts into something tangible. 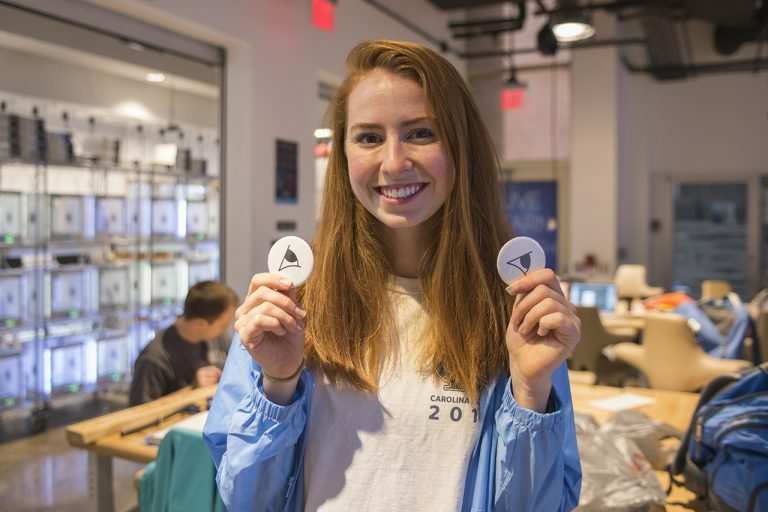 The Makeathon was hosted by the Entrepreneurship Center at the Kenan-Flagler Business School in conjunction with nine campus partners, including Innovate Carolina and the Be A Maker (BeAM) initiative. 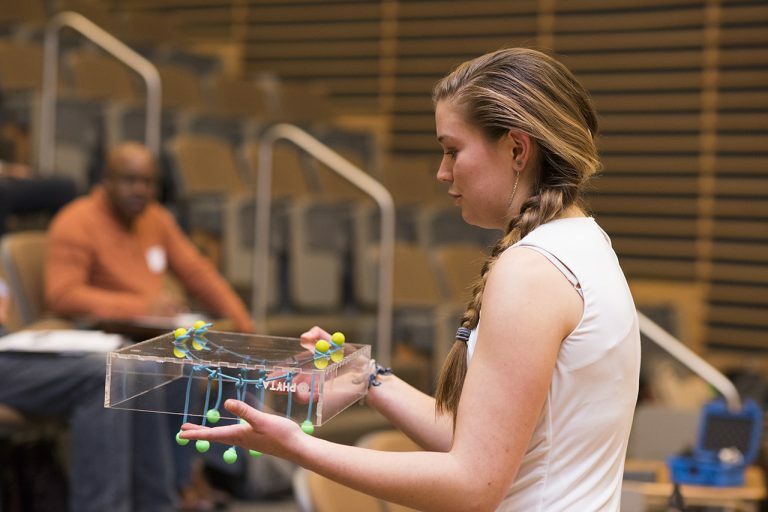 It’s where students like Morgan, who teamed with senior business major Sarah Smith and biochemistry doctoral student Jeff Ehrhardt, started their week of experiential learning and making. And with 15 workshops, 27 hours of open BeAM makerspaces, 38 hours of app lab sessions and 71 available office hours hosted by 17 entrepreneurial-minded mentors, the chances to learn while building a prototype, designing an app or launching a website materialized quickly. 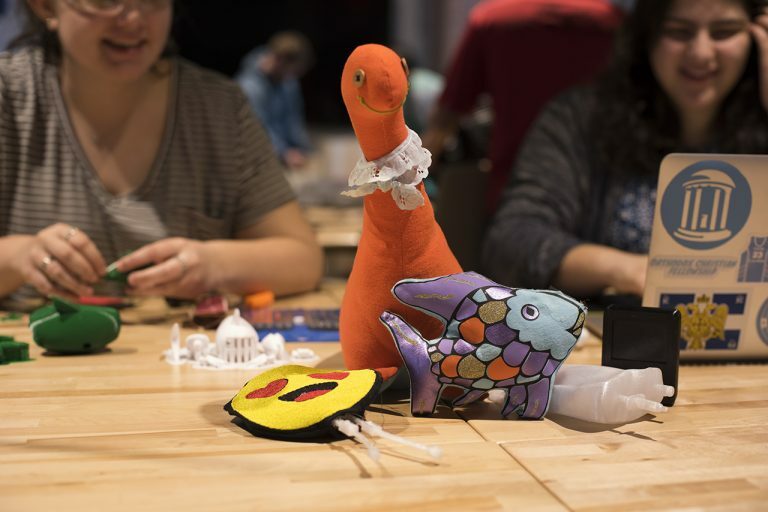 “We’re excited about all the resources that the Makeathon has for us – not only going to office hours to meet with people who can help us, but also the space, training and workshops that we can use and learn from as we build our first prototype,” Smith said. 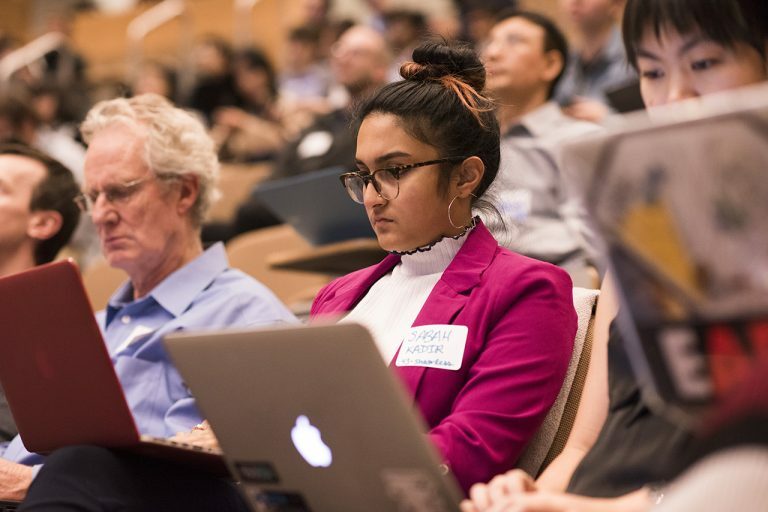 We’re excited about all the resources that the Makeathon has for us – not only going to office hours to meet with people who can help us, but also the space, training and workshops that we can use and learn from as we build our first prototype. The student team named Dirty Rotten is working on the prototype of a shoe that can be composted. ● A super-insulated building material made from hemp and lime. ● A device that uses the motion of doors to power electric lights. ● An app that enables large-scale mosquito control. ● A method for providing radically inexpensive internet connectivity for all. ● A new way to grow seaweed to be used for plastic substitutes and other aspects of environmental good. The diversity of ideas stems from teams constructed with diversity in mind. 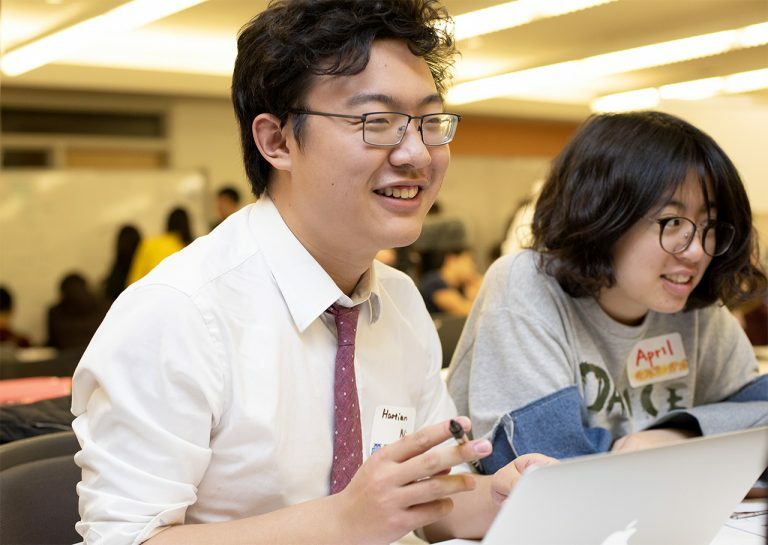 To participate, each of the 37 teams were required to involve students from at least three academic majors. 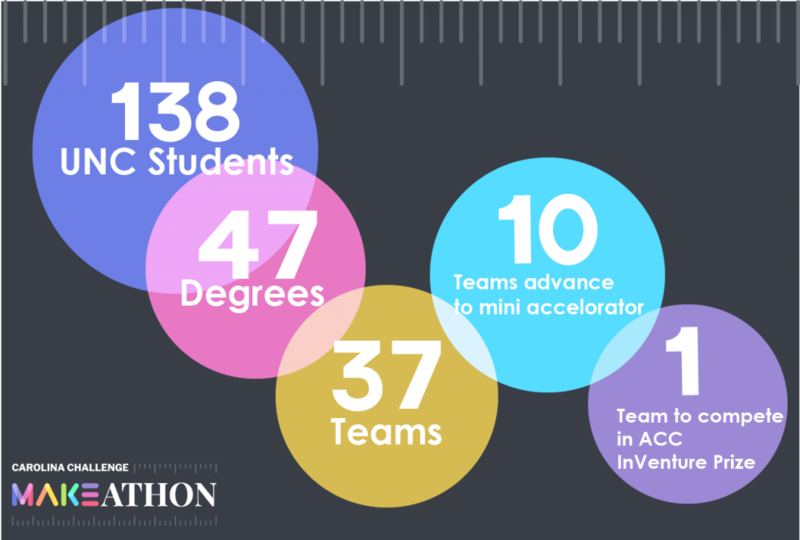 In total, the Makeathon included students from 47 degree programs. 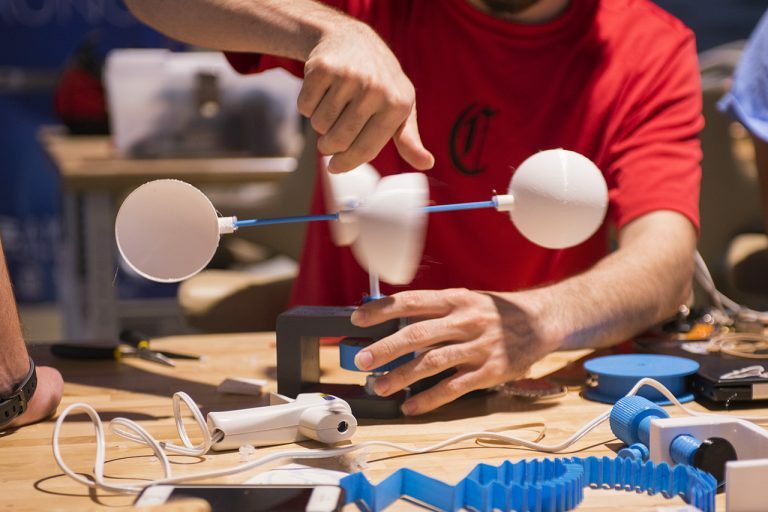 While a number of teams worked on building physical prototypes, many others focused on digital designs. 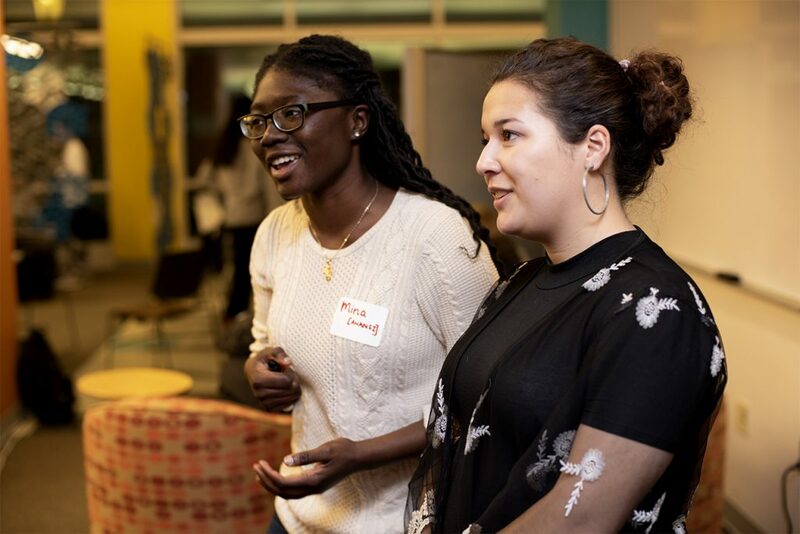 One team named Anansi focused on building a website to raise awareness about the large influx of imitation print in Ghana, while supporting those who make authentic fabrics. I want to use the opportunities throughout the week to build an informed knowledge of who my consumer is and what we're going to do...It's important to be in this community of people with different ideas to be able to learn." The sense of community is true to the brand of the Carolina Challenge, which has been made possible by a foundation created by the Stedman family, graduates of the business school. 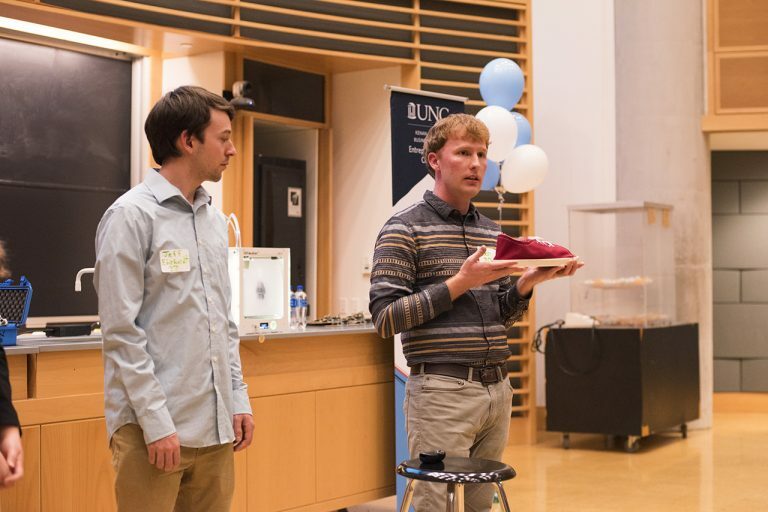 It’s long been recognized by many at UNC-Chapel Hill as a signature campus-wide entrepreneurship event that includes the annual Pitch Party during the fall semester. 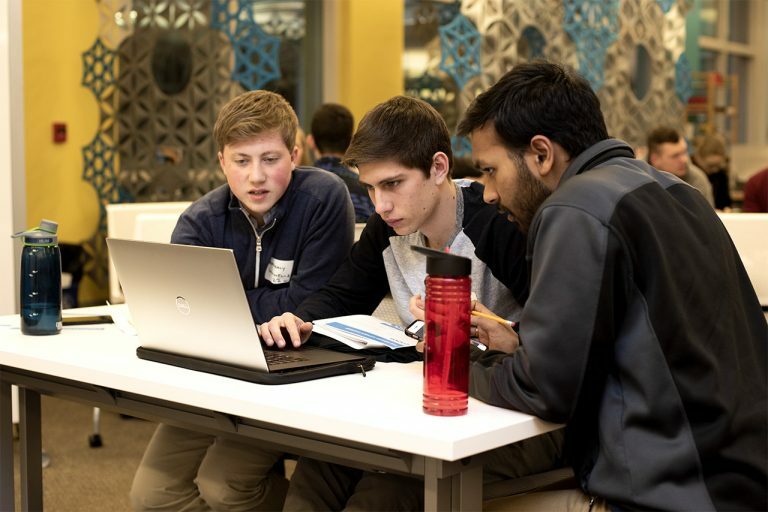 With its focus on diverse team formation, the involvement of numerous partners and the use of makerspaces and other campus resources, the Makeathon is the latest evolution of the Carolina Challenge. 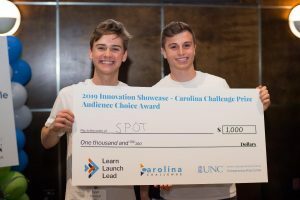 “The Carolina Challenge has been around since 2005, but we still consider it a startup in the sense that the donors – the Stedman Family – and our Center is constantly gathering feedback from our students to have the competition stays relevant,” said Callie Brauel, Carolina Challenge director. 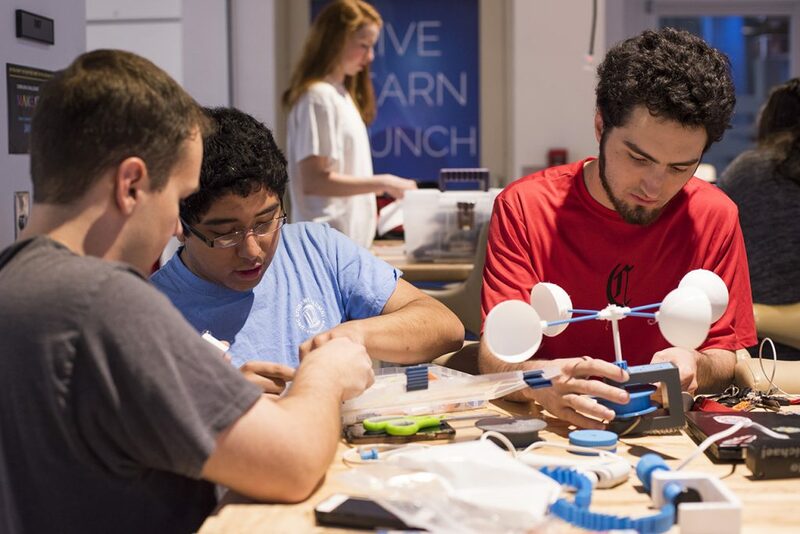 The Makeathon, or Carolina Challenge 3.0, evolved for two main reasons, explained Brauel. 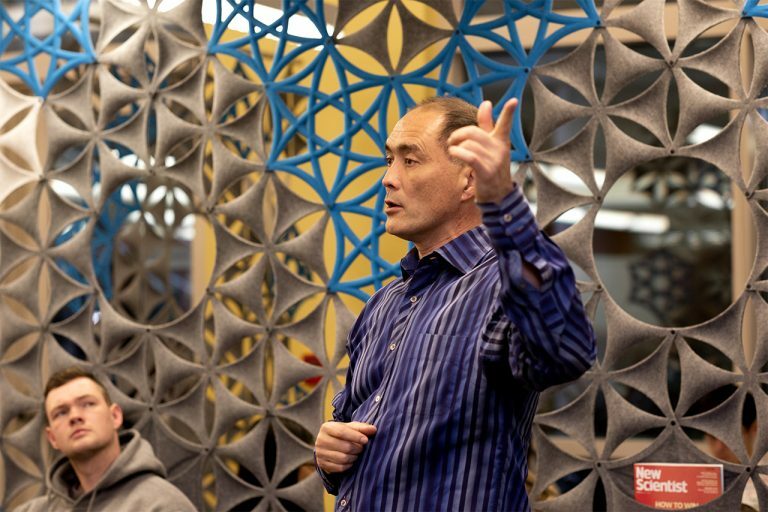 It’s designed to use the new innovation spaces that have sprung up across campus, including three makerspaces and an app lab. And it’s more focused than ever on engaging students from all disciplines to help them develop an entrepreneurial mindset. 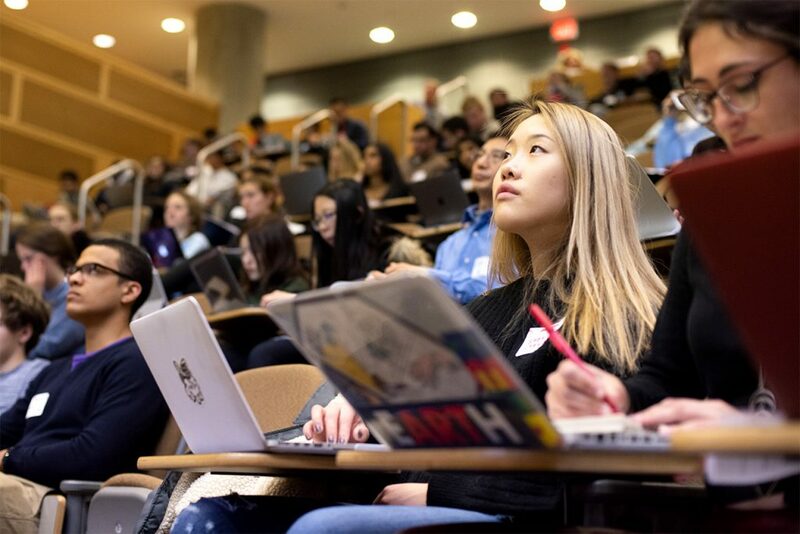 A new focus and format for the event is key to staying in sync with the collaborative learning experiences that students are looking forward. 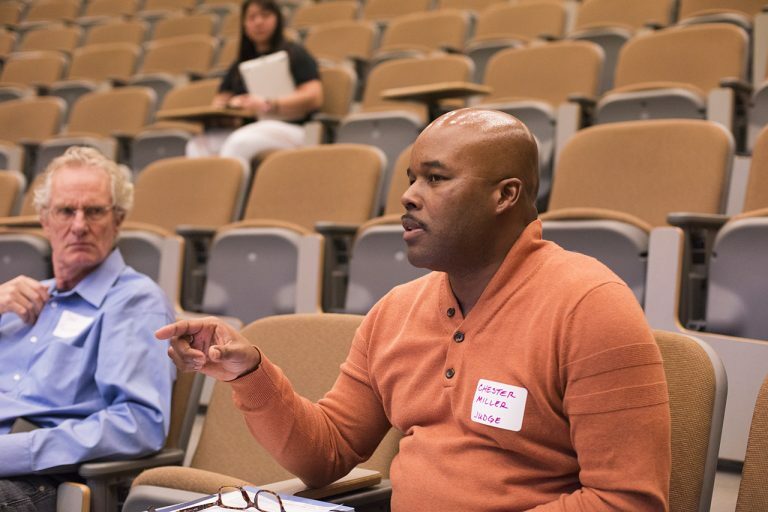 “There’s a longing on campus for collaboration and direct ways for students to find teammates with diverse skills who are passionate about solving the same problems they are,” said Aspyn Fulcher, program manager of the business school’s Entrepreneurship Center, and a principal Makeathon organizer. 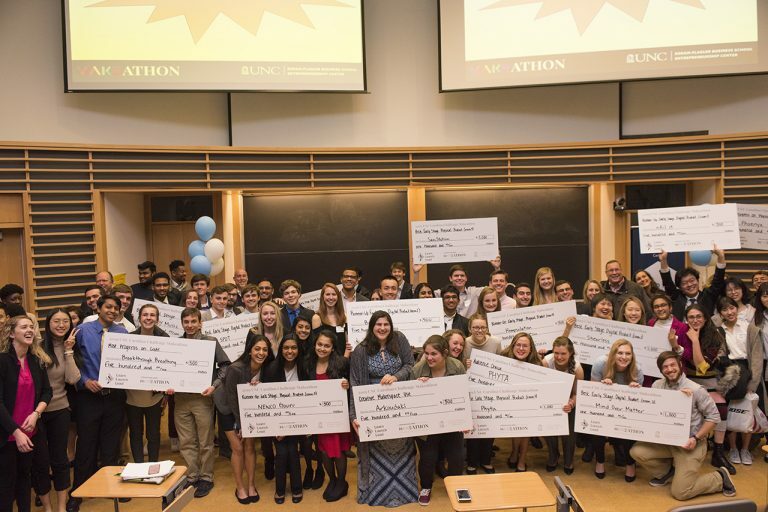 “Our main goals were providing opportunities for students to be creative, interact with students from different majors, gain exposure to other student projects, and learn about the wealth of on-campus resources available to them as student entrepreneurs.” The culmination of the Makeathon is a final pitch competition where the student teams compete for $10,000 in prizes that they can use to take their ideas a step further. 1. Shearless: a social making platform and marketplace for sharing vector files of sewing patterns for laser cutting. 2. SPOT: a mobile app that empowers you to rediscover your world. 3. 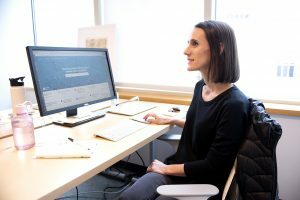 Mind Over Matter: a web application capable of housing all of the mental health resources on campus. 4. 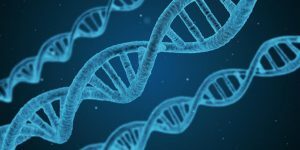 SaniStation: mobilizes and practicalizes hygienic essentials, accelerating and optimizing the progression of public health. 5. Phyta: new strategies for seaweed cultivation to promote plastic substitutes, climate resilience and economic development. 1. Nail It: an info system to help UNC students engage in the academic community by pooling events information. 2 (Tie). Buddy VR: uses the Peppers Ghost Projection to bring objects to life and make them float on a screen; SECURED: An app that makes the job of researchers easier and data that helps large scale mosquito control for non-profits/government. 3. UNCeats: helping students find available seats in libraries through a reserving system in addition to a library study buddy system. 4. Hempsulation: a building material made from hemp fibers and lime that insulates better and lasts longer than concrete. 5. Gouru: an advanced line reader that would adapt to the users needs by magnifying small texts and focusing on individual lines. Arkoudaki: a physical product based around reducing environmental waste associated with packaging. Breakthrough Breathing: helps ordinary people get the most out of exercise, meditation and life in general through timed breathing routines. Phoenyx: symbolizes second chances for both products and people by creating bags from recycled billboard and employing women experiencing homelessness. Calendex: a new way of organizing events using timeline and blocks. MLDY Music: a social media platform to connect artists and promote music production. Phyta: new strategies for seaweed cultivation to promote plastic substitutes, climate resilience, and economic development.